Circle is a six-piece from Finland that plays a unique blend of spacerock, psychedelia, and avant garde progressive. The band consists of T. Elo on guitars and vocals, T. Harrivaara on bass and doublebass, J. Lehtisalo on guitars, keyboards, and vocals, T. Niemela on keyboards and stick, J. Peltomaki on drums, and V. Raitio on percussion. 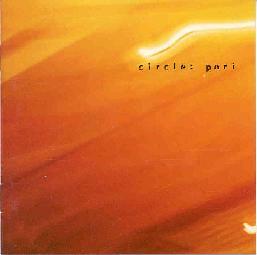 On "Pori", Circle returns with their trademark sound of repeating rhythms and melody lines around which the band develops loose themes. The disc begins with a four minute intro of what sounds like a modern classical symphony. They then launch into "Vasitorni" (I had trouble making out the song titles) with its pounding rhythm of heavy rock, spaced out synth melodies, and subtly psychedelic guitar lines. A great clash of the passive and aggressive. Another strong tune is "Back To Pori" which combines a crunchy guitar sound, orchestral space keyboards, and chanting choir to produce a most cosmic feel. My favorite tune on the disc is "Kartano", which features the same trademark Circle rhythms, but is an aggressive spacerock freakout. Lots of cosmic guitars and vibrating synths. For a band that isn't a purely space outfit this has got to be one of the great space tunes of '98. The one track that disappointed me was "Porin Jazz Juhiat". A jazzy, and wonderfully exploratory tune, it has great possibilities but unfortunately doesn't justify its 13 minute length. The rest of the disc features the classic Circle sound, though I should also mention "Karhun Kansaa" which sounds just like Materials' "Conform To The Rhythm" but with psych guitar and freaky sounds. In summary, though "Pori" has far more to offer spacerock fans than last year's "Fraten", I don't think that - song for song - its as musically solid a release. But its got some great tracks and is highly recommended to spacers who welcome challenging music. Click here to visit the very informative web page covering both Circle and related band Ektroverde. Click here to visit the more official page run by band leader Jussi Lehtisalo.